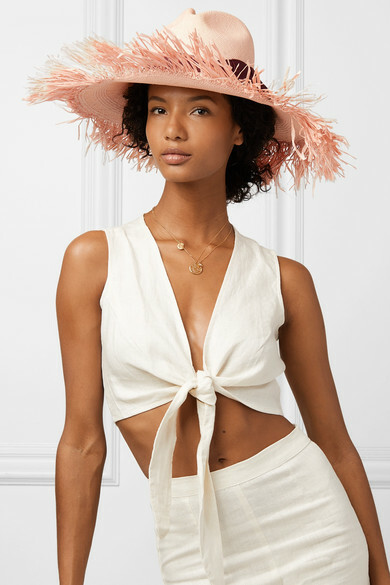 Sensi Studio's hat is perfect for tropical vacations. 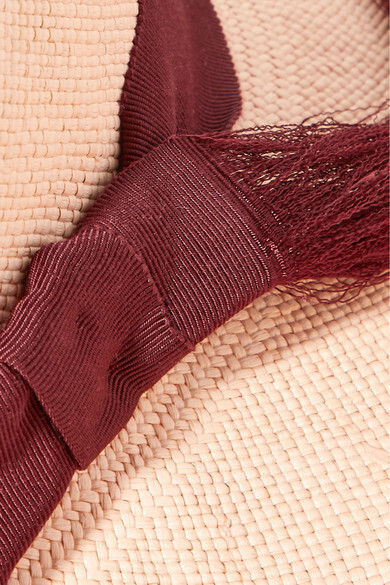 Hand-woven from durable toquilla straw, this pastel-pink style has tactile frayed edges that accentuate the wide brim and a burgundy grosgrain band. Wear it on the beach to shield yours eyes from the sun. Shown here with: Faithfull The Brand Top, Faithfull The Brand Pants, Meadowlark Necklace.